While mentioning KGB, MI-5, MI-6, or FBI we get a glimpse of the shady underworld of spying and counter-espionage. Take the instance of Hanssen (https:// www.history. com/news/history-lists/6-daring-double-agents) who after joining the FBI in 1976, volunteered to spy for GRU, the Soviet military intelligence agency three years later. In 1980, after Hanssen’s wife reportedly caught him with some suspicious-looking papers, he admitted to selling secrets to the Soviets but claimed the information he had handed over was worthless. At his wife’s insistence, he promised to sever ties with the Soviets. Yet he resumed spying for the Soviets in 1985, this time for the KGB, while continuing to rise through the FBI’s ranks. In 1991, with the dissolution of the Soviet Union, Hanssen stopped spying for a while out of fear of being caught and the consequent retribution. But as old habits die hard, in 1999, while serving as the FBI liaison to the US State Department, he started spying for the SVR, the Russian intelligence service. The FBI got the information from an ex-KGB officer who had alleged that Hanssen was a “mole”. He was arrested in February 2001. Later that year, in an effort to avoid the death penalty, the veteran FBI agent pleaded guilty to 15 counts of espionage. Why are such high-value “moles” important? Besides classified material that revealed the identities of Soviets who were spying for the United States, the “continuity of the government” plan (detailing where top US government officials will be moved to in a national emergency), the existence of an FBI-built tunnel beneath the Soviet Embassy in Washington, Hanssen had during his two decades as a spy, supplied documents with specifics about America’s nuclear operations. Why Hanssen, a church-going father of six, betrayed his country is not fully known, although money rather than ideological beliefs seems to have been one motivating factor. Avarice, in fact, has been one of the most effective human vulnerabilities to which the spies ~ the agents, informants, case officers, technicians, defectors, and leaders ~ have been susceptible. Aldrich Ames, America’s most notorious traitor, carried secret files from his CIA office and delivered them to the KGB in garbage bags in exchange for millions of dollars. Klaus Kuron, West Germany’s head of counter-intelligence, offered to spy for East Germany out of professional frustration and to help pay for his children’s education. And talking about ideology, it is worth our while to shed light on the Cambridge spy ring, a group of British young men recruited as Soviet spies in the 1930s led by master-spy, Harold “Kim” Philby. They had infiltrated the highest level of the British government, including MI-5, MI-6, the Foreign Office, and the War Ministry. The ring consisting of Kim Philby, Guy Burgess, Donald Maclean, Anthony Blunt, and John Carincross spent years building up their reputation as loyal British citizens and staunch anti-communists before beginning active espionage during World War II but seemed ideologically loyal to Communism, as opposed to performing espionage for personal gain. 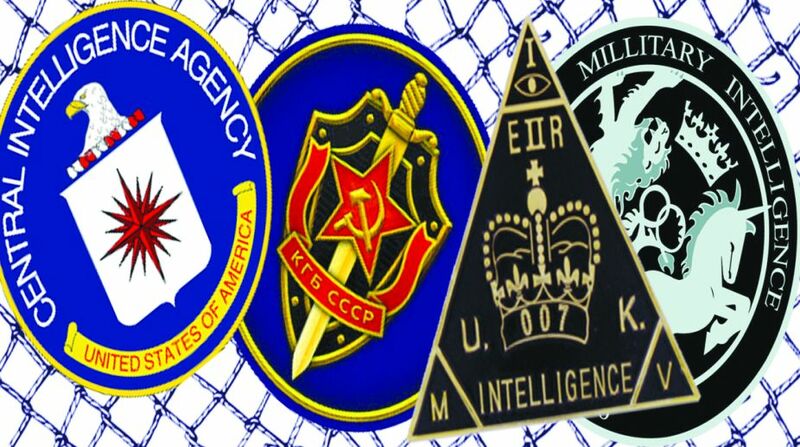 As double agents mostly are, traitors to some and heroes to others, the spy ring of the “magnificent five” was a group of traitors in Britain and America, and enjoyed near cult-fame in the Soviet Union. In the same vein, Russia can never condone Skripal, for the substantial damage he had caused to Russian intelligence services. The anger ranged against him is so strong that the BBC mentioned the daily newspaper Komsomolskaya Pravda as saying that in the Soviet era he would have been shot for his acts of transgressions. When he was convicted in his home country in 2006 and sentenced to 13 years in a high-security prison, many seethed in anger considering the “lightness” of the punishment, disproportionate to the scale of his treachery. He was freed in the 2010 deal which saw 10 Russian sleeper agents expelled from the United States. International power-brokers thrive on the Intelligence network. Sergei Skripal is but a cog in the wheel of the dark designs of one-upmanship that the big nations play in an uncertain world plagued by such challenges as nuclear warfare, ISIS-style terrorism, or attrition over energy resources or threats of an asymmetric war. The passage of the Cold War did not diminish worldwide intelligence operations as was perceived in view of the newer pathogens looming on the horizon, be it the emergence of failed countries engulfed in continuous turmoil, rogue countries acquiring even more dangerous weapons, and terrorists committing increasingly bloody atrocities, or high-tech cyber warfare being waged. Q, James Bond’s technical man, is a fictional portrayal of the quartermaster, traditionally a military unit that supplied troops with equipment. The CIA’s Office of Technical Service (OTS), based within the Directorate for Science and Technology, is one of the world’s most technologically sophisticated divisions. Still, however much we need geeky nerds capable to sift through high-tech gadgetry, old-fashioned human intelligence is the trusted key to success. Skripals and Philbys therefore are sought after and tradable, because failure to collect, collate, and distribute and sometimes predict intelligence efficiently gives an opportunity to an adversary, a point vindicated again and again by history since the Japanese raid on Pearl Harbor in December 1941. This was demonstrated in Saigon during the Tet Offensive in 1968, in the Sinai on Yom Kippur 1973, and in New York with the attacks on the World Trade Center in 1993 and 2001 ~ to name just a few. The threats posed by territorial claims from aggressive neighbours, international terrorism, or home-grown subversion are as real in the context of Kashmir, Chechnya, Balochistan as elsewhere. A perceived failure to maintain vigilance may spring an unsavoury surprise. Should a nation mount a paranoid witchhunt for moles … forever seeking spies in its midst on the basis of wild theorising that some must be lurking somewhere? Looking inwards is often useful.